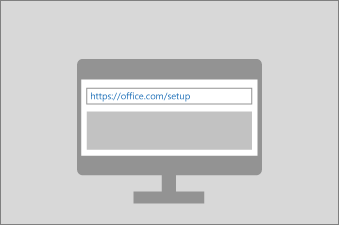 Select your version of Office below to learn how to activate Office. When you start an Office app that's not activated, you'll be prompted to sign in to Office. 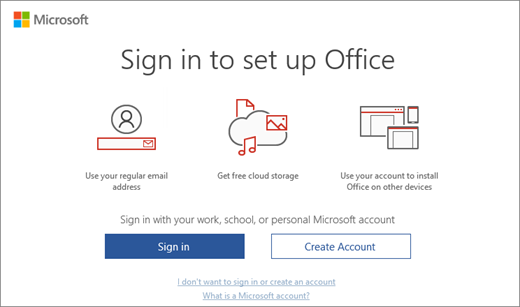 Be sure to sign in using the Microsoft account, or work or school account, that you used to buy or subscribe to Office. Note: If Office came pre-installed on your new device, see Activate Office that's pre-installed on a new Windows 10 device. 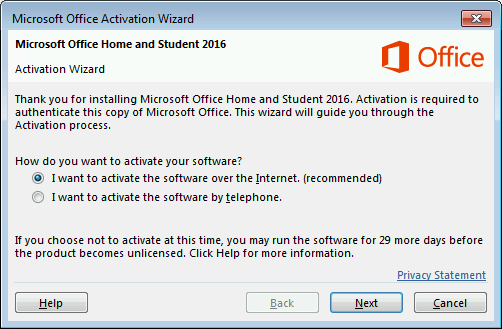 If the Activation wizard appears, Office needs your help to activate. Follow the prompts in the wizard to activate Office. You'll see this screen if you sign in to Office that was pre-installed on a new device but don't have an Office product associated with your account. To use Office on your new device, you can activate Office as a 1-month trial of Office 365 Home. You can also buy Office, add Office to an existing Office 365 subscription, or enter a product key from a new product key card. If you have an older copy of Office, you can install that instead. I get the error "The products we found in your account can't be used to activate <app>"
A digital Office product key is transmitted to your PC, so you won't need or receive a printed product key. You activate Office by selecting the Activate Office button. Be sure to activate Office as soon possible. The offer will expire 180 days after you activate Windows. If you bought Office Professional Plus, Visio Professional, or Project Professional through your employer's Microsoft HUP benefit, select I don't want to sign in or create an account (at the bottom of the screen) and enter your product key. 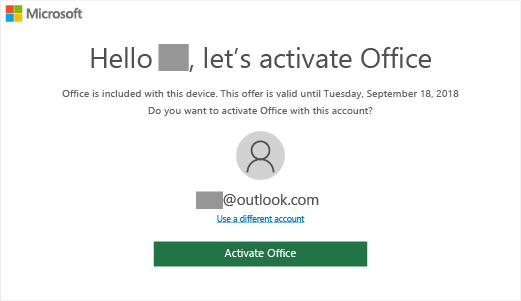 If you see this message, it means you need to deactivate or sign out of Office on another device before you can activate Office on this device. 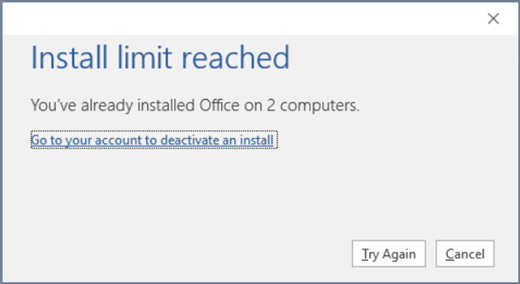 If Office can't activate, it eventually becomes unlicensed and all editing features of Office are disabled. Office can become unlicensed for a number of reasons. For example, if your Office 365 subscription expires, you must renew your subscription to restore all features of Office. 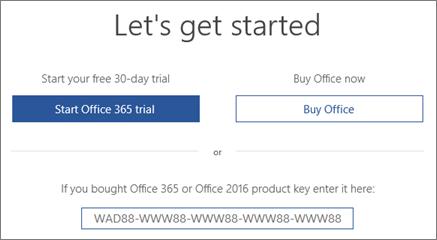 If Office was pre-installed on your new PC, you must start an Office 365 Home trial or buy Office to continue using Office. You get the Office error "The products we found in your account can't be used to activate <app>"